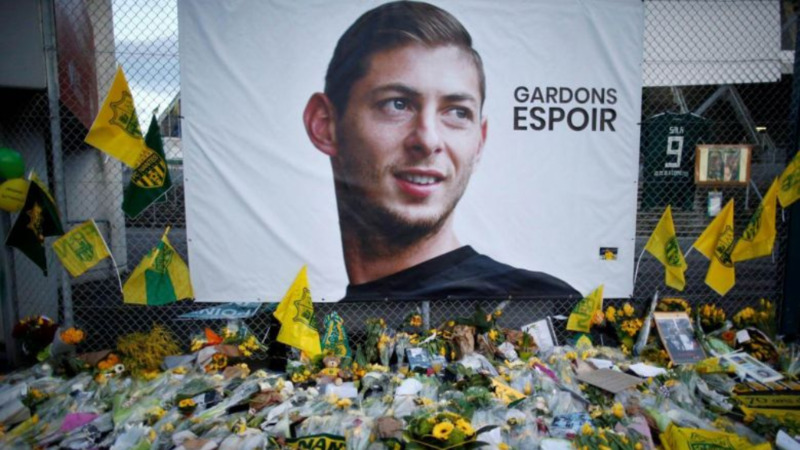 More than two weeks after the plane carrying Emiliano Sala to a new career in the English Premier League crashed into the sea, police confirmed Thursday that the body recovered from the wreckage was the Argentine soccer player. Horacio Sala, the player's father, said Monday that he was hoping to "have some sort of certainty." But Sala's body was only recovered from the sea on Wednesday before being taken to Dorset in southern England. Sala was formally identified in coroner's examination on Thursday. "The families of Mr. Sala and the pilot David Ibbotson have been updated with this news and will continue to be supported by specially-trained family liaison officers," Dorset Police said. "Our thoughts remain with them at this difficult time." Investigators have not been able to recover the aircraft, due to what are being described as "challenging conditions." With an interim report due to be delivered within a month of the accident, authorities have expressed hopes a remote underwater vehicle provides evidence. The formal search was called off within three days of the plane disappearing from radar last month. 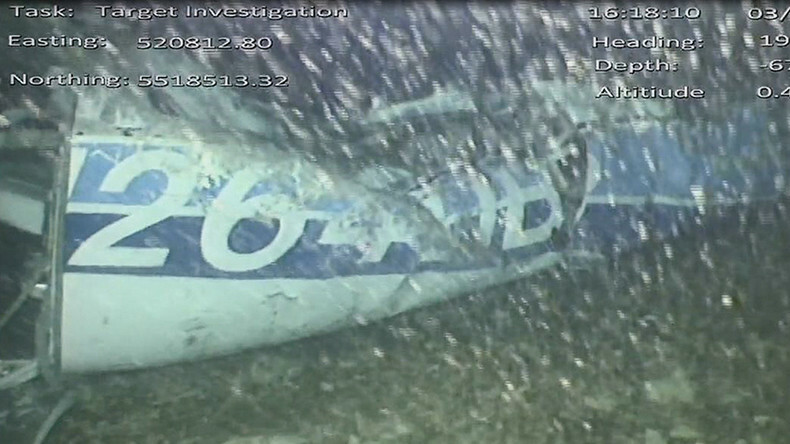 It took a campaign by Sala's family to raise funds for a private search by American-born, shipwreck-hunting specialist David Mearns, who located the aircraft within hours on Sunday in conjunction with air crash investigators. 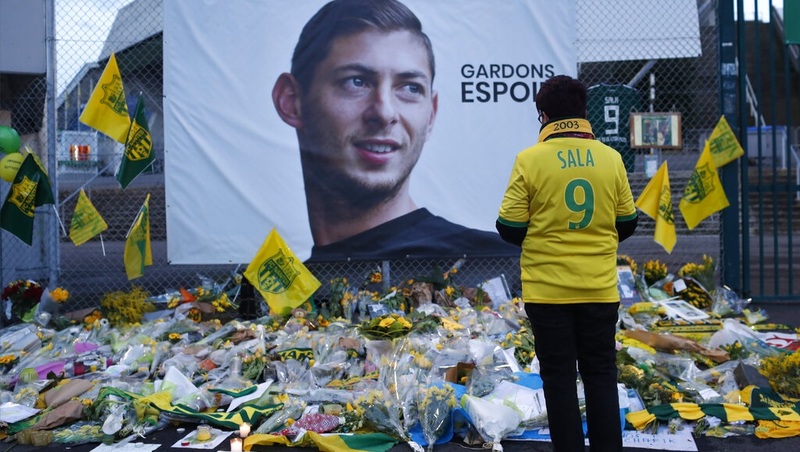 "Profound pain over the death of Emiliano Sala," the Argentine Football Association said. "Our condolences to his family and loved ones." While other French clubs were undecided about him, Nantes saw enough talent to make him the focal point in its attack for 3 1/2 seasons. He rewarded the club's backing with a healthy return of 48 goals in 133 games overall, and became a firm fan's favorite along the way at the Stade de la Beaujoire. That attracted the interest of Cardiff, which needed goals to try to avoid relegation from the Premier League. After what Cardiff called a "long process," Malaysian owner Vincent Tan agreed to pay Nantes a club-record 17 million euros and the deal was announced on Jan. 19. "I can't wait to start training, meet my new teammates and get down to work," Sala said. But first he returned to Nantes to bid farewell to his teammates, posting on social media a picture with them alongside the caption which translated as "the last goodbye" before boarding the fateful flight. 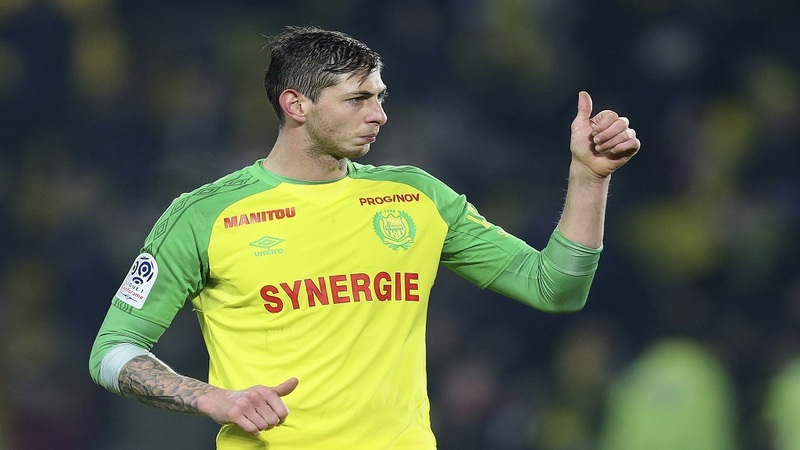 Even as Sala's family now mourns his loss, Nantes and Cardiff are in a legal quarrel, which neither club has denied, over settling the transfer payments still outstanding.